Got sensitive skin or eyes? 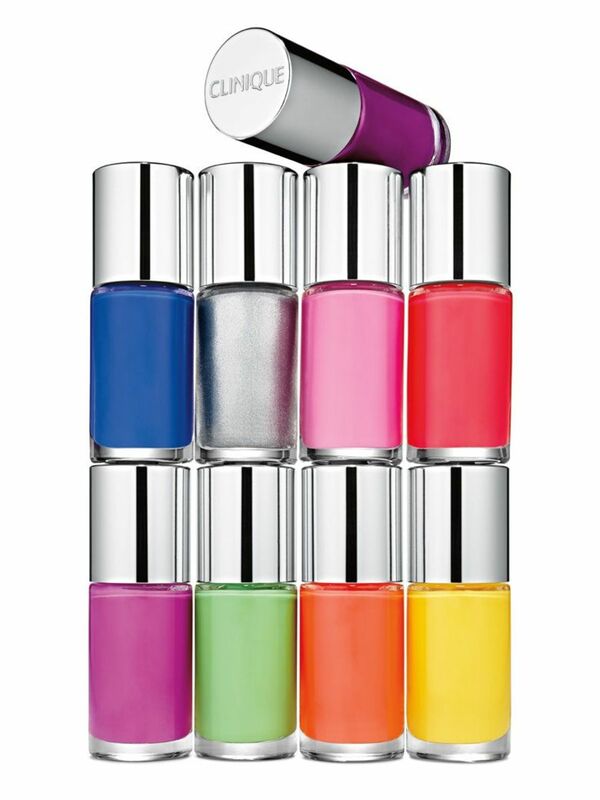 Then this is the nail polish line for you! Ever since I discovered my allergy to nail polish, I&apos;ve been fairly careful about what products I use. 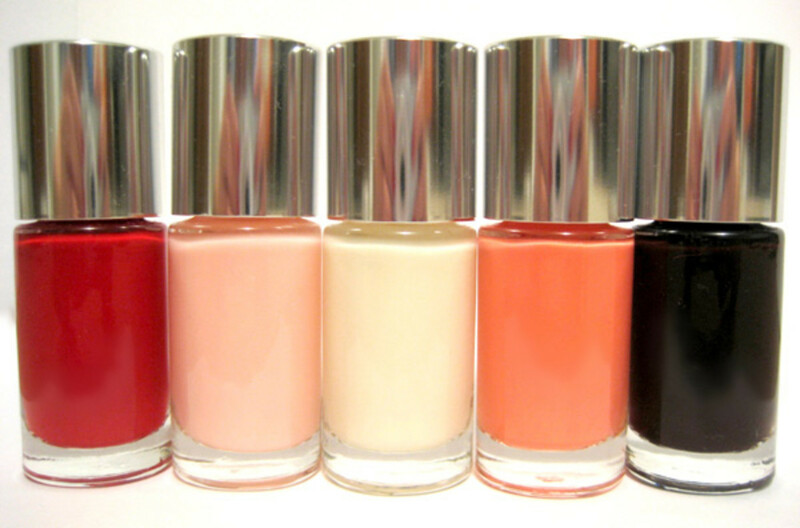 Even though most mainstream brands have transitioned to "3-free" formulas, the big players in the nail polish industry still make me itch and swell post-application. Over time, I&apos;ve realized that the only polishes that keep me completely reaction-free are the ones developed specifically for people with sensitivities and allergies. As you might imagine, not a lot of polishes meet my high standards (both allergy-wise and application-wise)... but guess what? Clinique managed to, with their new line called A Different Nail Enamel for Sensitive Skins. Before I show you the colours, you should know this stuff (which was in the making for SIX YEARS) is dermatologist- and even ophthalmologist-tested. 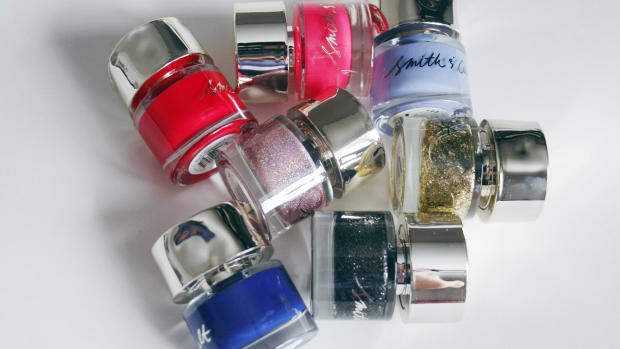 Did you know that eye irritations and rashes can be linked back to the big bad chemicals in nail polish? Yep. This line was designed with both skin and eye sensitivities in mind and is 100-percent fragrance-free. I was graciously provided with some of the colours to test out. First up, here are a few from the permanent collection (pictured above), which consists of 12 shades plus a base and top coat. I can&apos;t get over how much Party Red is an exact match to the primary red on a colour wheel. I already have a go-to deep red, and a cherry red... and now I can say with confidence that I have found my go-to classic red. Sweet Tooth is a very, very, VERY sheer pink. 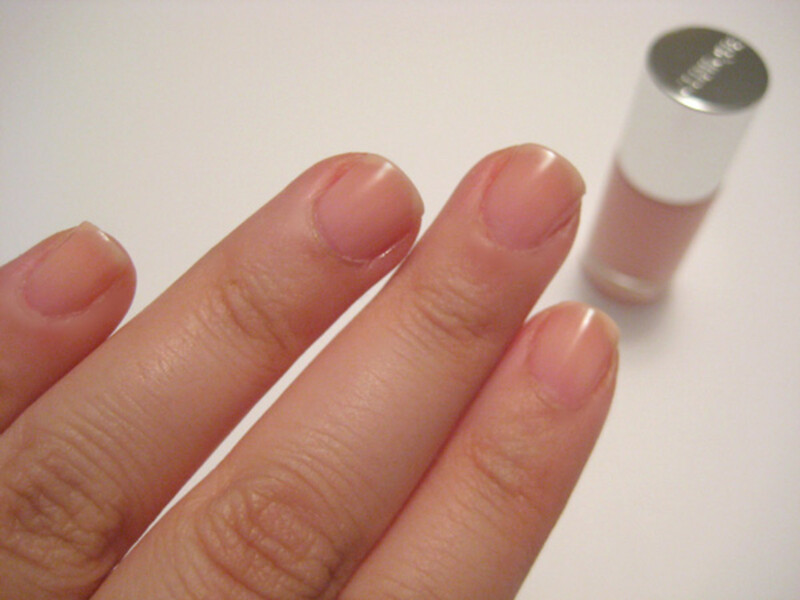 Looking at the colour from the bottle, it seems like it would be more of an opaque baby pink. However, it ended up reminding me of Dior&apos;s Nail Glow. This colour is definitely a "naked nails, only better" polish. 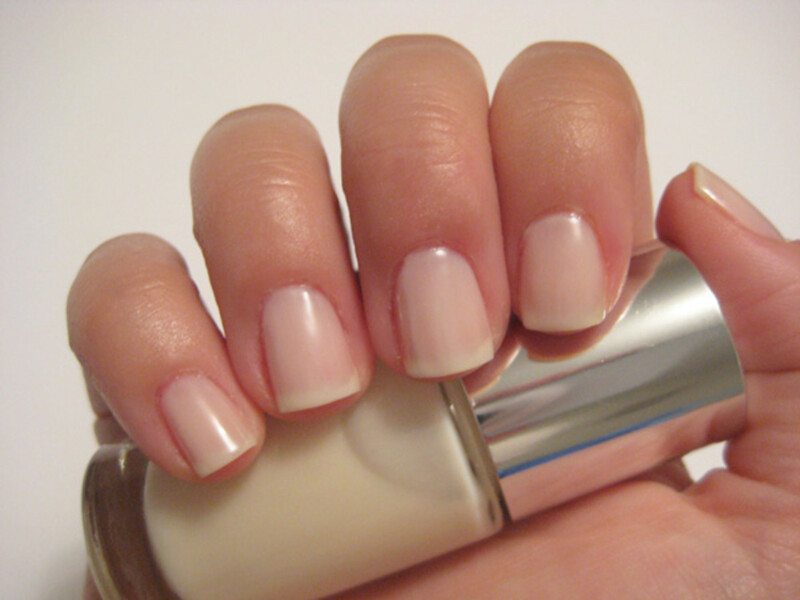 Call My Buff reminds me of the type of white used for French manicures. 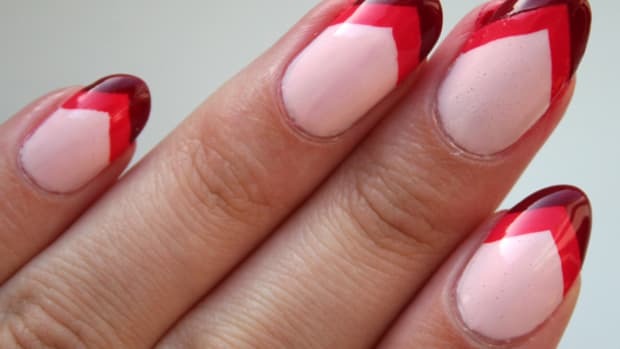 The sheerness of the polish gives you a naturally subtle French look... no need to paint on those tedious white lines that everyone hates doing so much! Despite how light the colour is, it went on amazingly streak-free. I&apos;m usually all about opaque polishes because I have zero tolerance for streaks (a common nuisance with light colours). However, this is the first sheer polish I&apos;ve ever wanted to wear a second time around! Really Rio is a salmon orange/pink that "really" stands out of the collection as one of my favourites. Maybe it&apos;s because I&apos;m not a fan of orange nail polish, so the fact that I actually like this shade shocks and impresses me into wanting to wear it again. 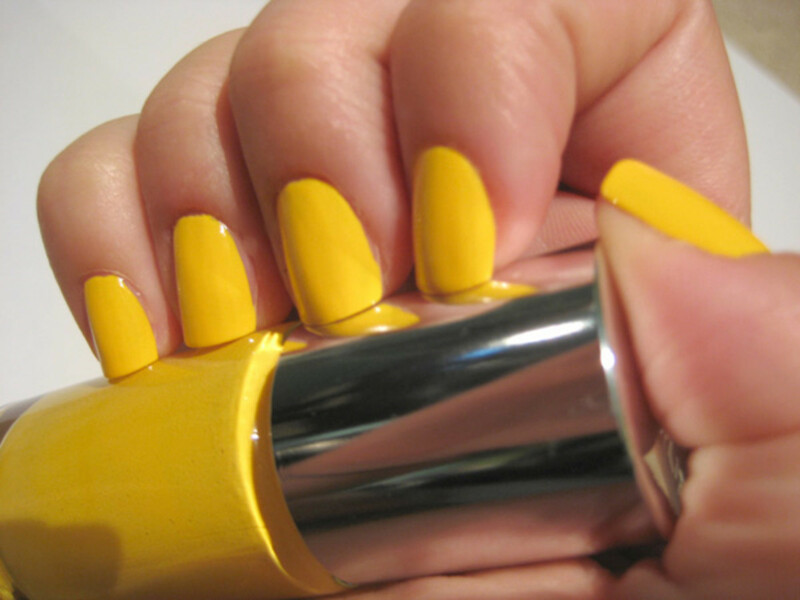 If you&apos;re not so into the bright and bold polish, this toned-down colour is a perfect option for summer. 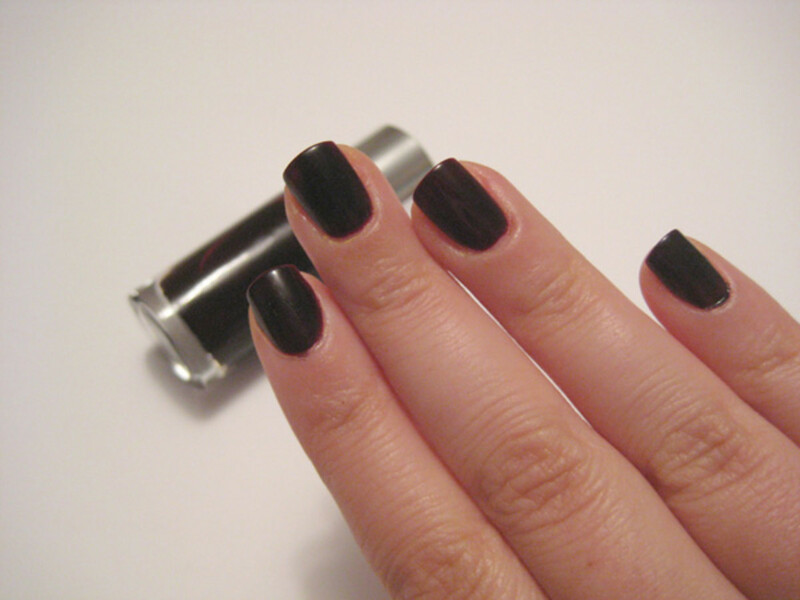 In honour of Clinique&apos;s iconic lip colour, Black Honey, they replicated the shade in nail polish form! 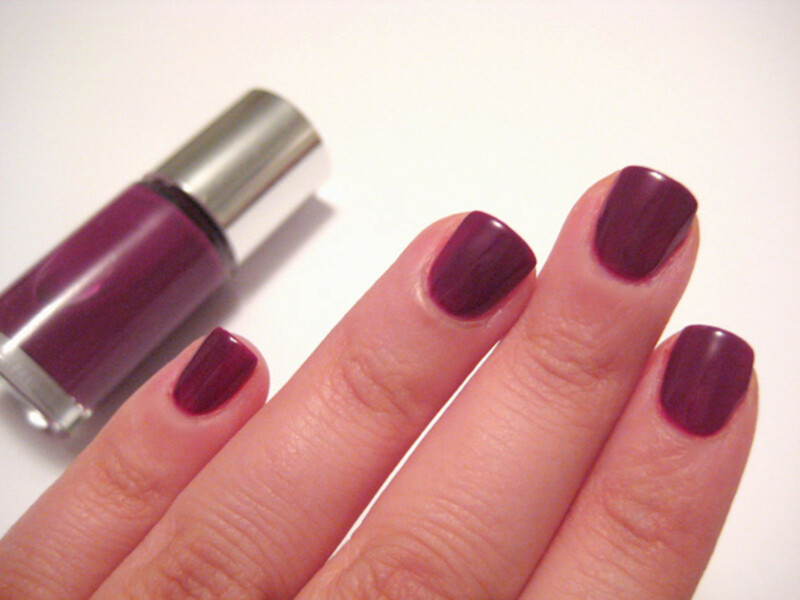 This creme polish is a very deep purple-y black that gives off a seriously vampy vibe. Perfect for a night out. Now, here are a few shades from the limited edition summer collection—grab &apos;em while you still can! Summer in the City is PERFECT for just that! 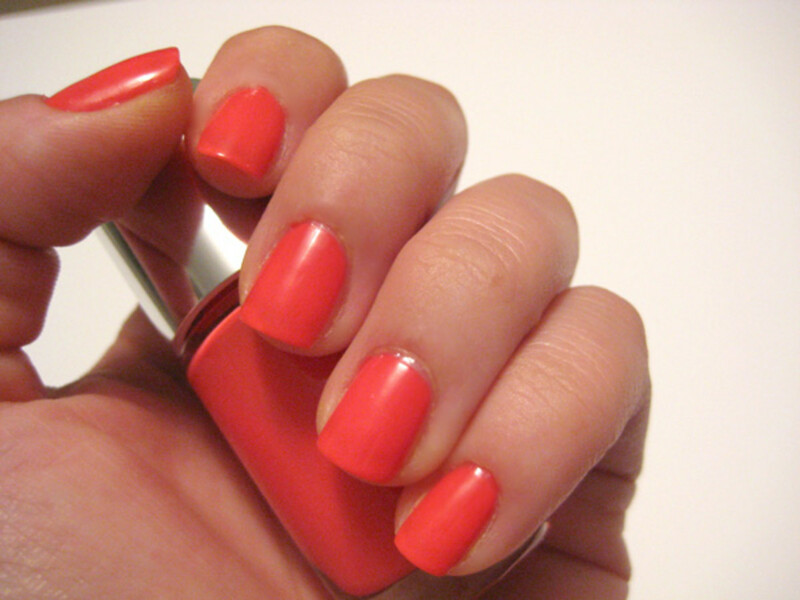 This gorgeous coral needed three coats for full coverage, but is so worth the bold results. 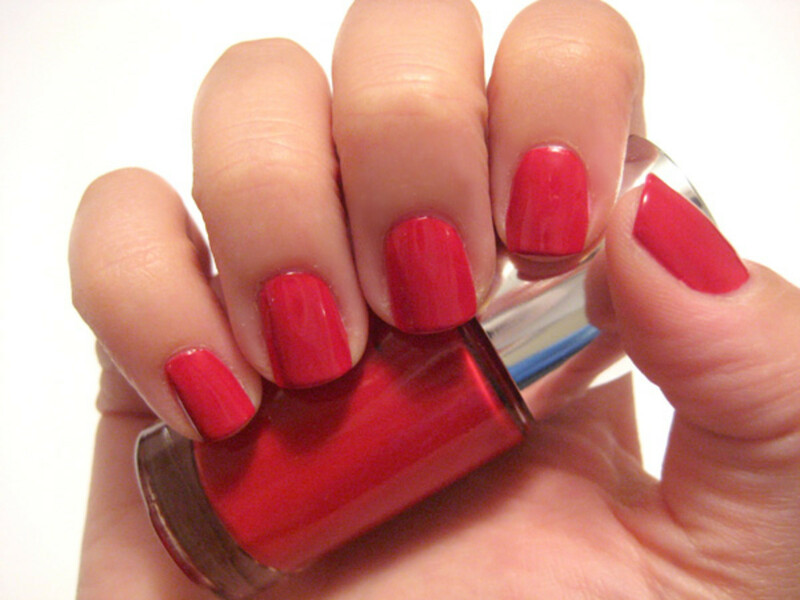 A fun, fresh spin on cherry red. Hopefully we&apos;re talking Fahrenheit here! This is a classic yellow that screams "pool party beach ball" to me. I was pleasantly surprised when I only needed two coats of polish to get this colour opaque... for some reason, so many yellows require umpteen billion coats. Not this one! You&apos;re gonna laugh at how I describe this polish at first... but then you&apos;ll probably totally agree (especially looking at the close up of the bottle above). Hot Date can best be compared to "Barney the Dinosaur purple." Ha! Come on, it&apos;s true, isn&apos;t it? Even though I really needed to layer on this colour to get an opaque finish, the result is a super-fun grape purple. 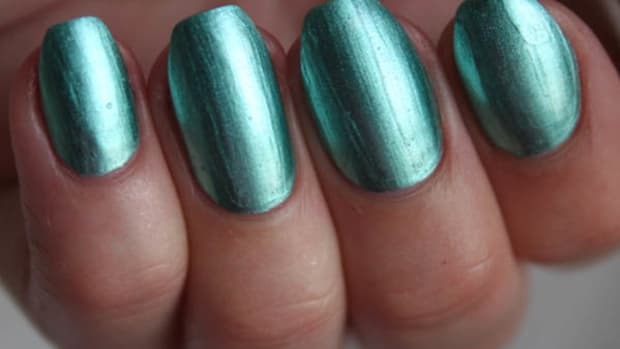 Hula Skirt is a mojito green, and also one of the more creamier polishes of the bunch. It&apos;s really the perfect bright green: not too yellow nor too fluorescent. No one wants to look like Robin Williams&apos; flubber landed on their fingertips. Now, I must add: for the more opaque colours, the first coat of polish was always uneven. But it didn&apos;t really matter because—without fail—the second coat always cleared that issue. On the other hand, the sheer colours (which are usually the hardest to even out) went on 100 percent streak-free. So no complaints here. I think it&apos;s because of the brush; it is a lot flatter than most nail polish brushes. If anyone knows the Sally Hansen Insta-Dri brush, it&apos;s like that. But skinnier. As you can see, a sensitive skin formula doesn&apos;t have to compromise on colour payoff—Clinique covers every inch of the rainbow. And while I would never kick any of them out of bed, I&apos;m mainly in love with the fact that there is no itching, redness or puffiness around my cuticles the next morning after applying the polish. A feat! Clinique A Different Nail Enamel for Sensitive Skins, C$14.00/US$12.50 each. 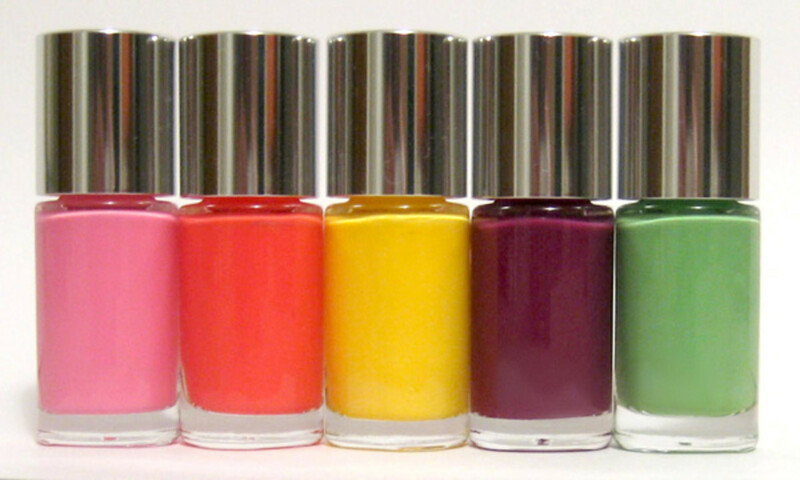 Do you think you have a sensitivity to nail polish? Have you checked out this line yet? Which colours are your faves? Got a pen? That's all you need to create this mani. 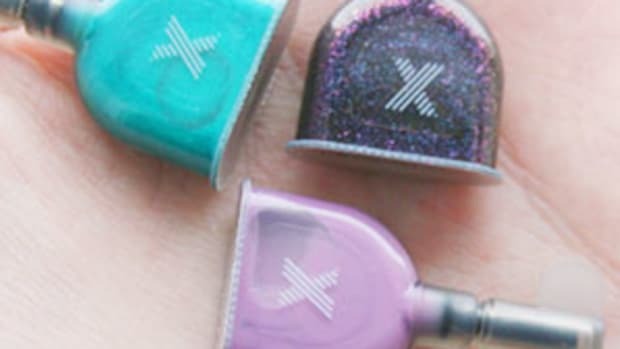 Sephora's New, Single-Use Nail Polish Pods Are Here! Are the Press Pods as great as the rest of the Formula X line? I found out! Plus what to look for in your skincare to soothe and calm.